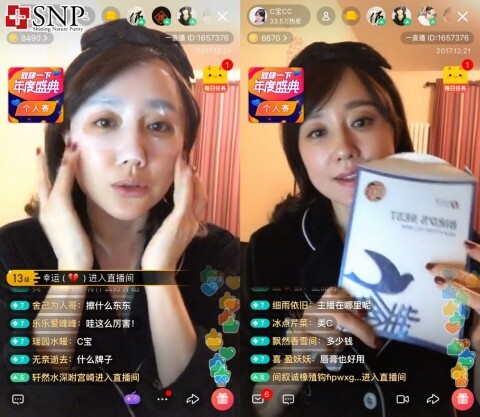 SEOUL, SOUTH KOREA--(Korea Newswire) March 09, 2018 -- SNP Cosmetic Brand accumulated 25 million cumulative views by 6 live broadcasts through Wang Hong in China. SNP is actively engaged in SNS marketing for customers born between 1990 and 1995 with high purchasing power in the Chinese consumer market. SD Biotechnologies Co., Ltd is a cosmetic company that develops cosmetics using materials developed by its R&D center. The SNP, famous for its Birds Nest Aqua Ampoule Mask, which are sold 200 million pieces in China, and the Derma cosmetics brand named Hddnlab (Hddn=Lab), and a special grooming care cosmetic brand for men, M'solic. brand. In addition, they filed a trademark application with 50 cases of CFDA, 18 cases of CPNP, 42 cases of patent applications.